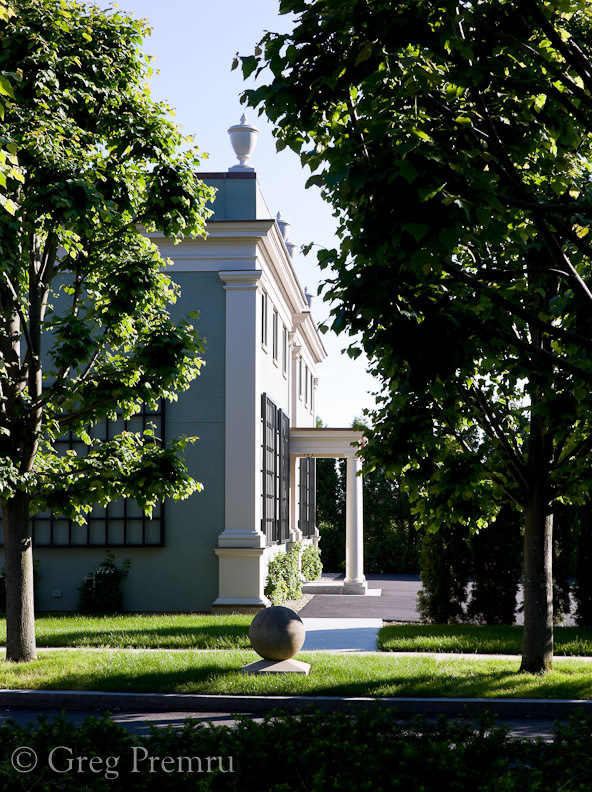 Through an interview with ICAA New England Chapter President, John Margolis, AIA, New England Home Magazine features the mission of the Institute of Classical Architecture and Art (ICAA). The article sites the enduring place that the beautiful proportions and harmonious designs of classical architecture hold in the world today and in the future. We need to study our historical examples freely and create newly interpreted designs for generations to come. 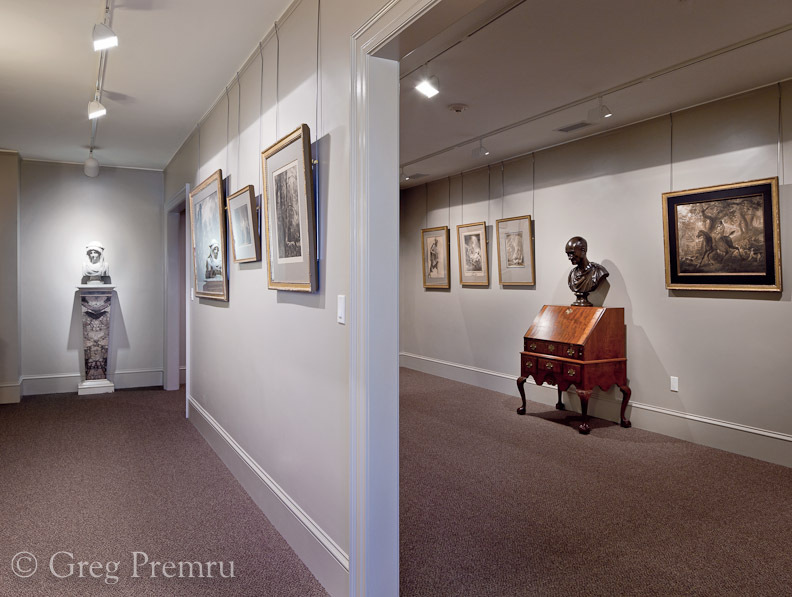 New England Home Magazine, known for its preeminent grasp on fine architecture and interior design in New England, featured the New England Chapter of the Institute of Classical Architecture and Art (ICAA). 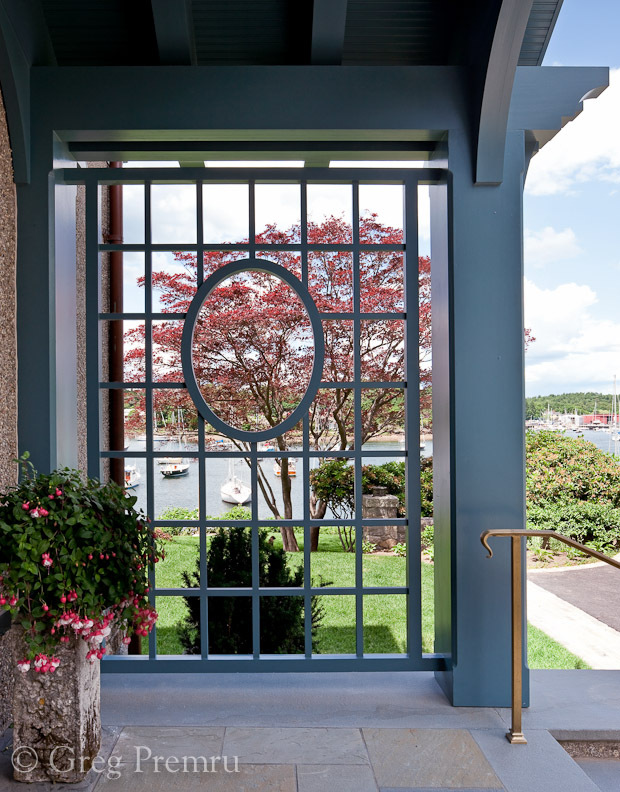 Through an interview with Editor-in-Chief, Kyle Hoepner and ICAA New England Chapter President, John Margolis, AIA, New England Home showcased ICAA for its promotion and demonstration of how classical design language can be adapted to modern day design challenges. Margolis notes how current culture looks toward ‘all things new’ while ICAA honors the past and strives for sustainability including new uses for old buildings and the means to make beautiful design accessible to everyone. Margolis uses the Parthenon as a good example – first as a Greek temple, then as a basilica, and then a mosque! The active participants in the ICAA are unparalleled designers and artisans. Although they don’t expect everyone to subscribe to their thinking, they are looking for a seat at the table so that their voices can be heard democratically. The ICAA seeks beautifully proportioned, enduring, harmonious designs that fit seamlessly into their environments. The Southern California ICAA Chapter as well as others have partnered with Habitat for Humanity to create pattern books for housing which are regionally specific and affordable thus overcoming the stigma of classicism being only for the affluent. 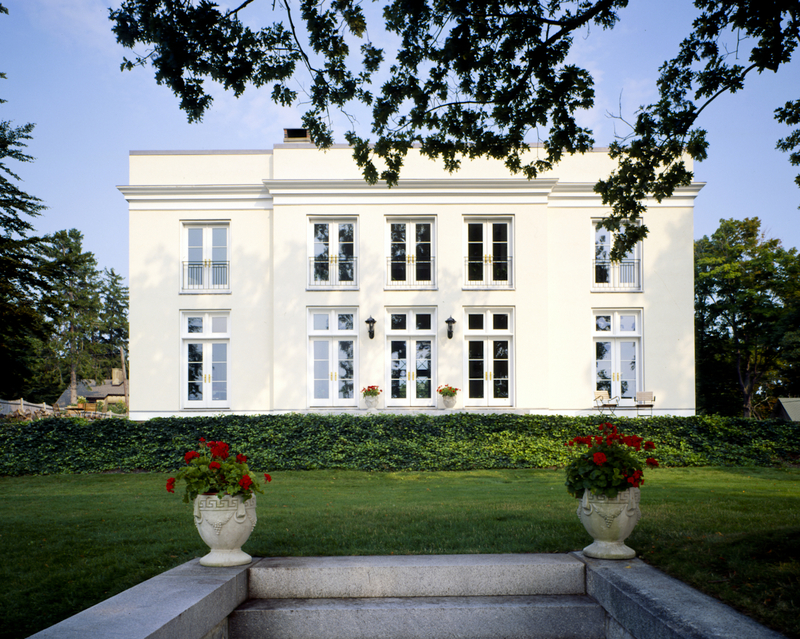 Margolis believes that by referencing the past we can observe significant examples of how earlier architects implemented sustainable design - bay windows on New England townhouses, cupolas, porches of southern antebellum homes, and deep covered arcades of Spanish-style mission in the southwest - all were developed as solutions for natural light, thermal comfort and proper energy use. “We need to study our historical examples freely and create newly interpreted designs for generations to come,” notes Margolis. John Margolis, AIA is the current President of the New England Chapter of the Institute of Classical Architecture and Art (ICAA.) A member of the ICAA for over 20 years, Margolis is leading the Chapter’s effort to fulfill its mission through education, publication, awards and advocacy. Margolis is also President of Margolis, Incorporated, an architectural residential practice celebrating its 19th year. Specializing in new homes, additions and renovations, its varied work is thoughtfully grounded in traditional and regional precedents. See http://www.margolisinc.com. While the firm often marries classically proportioned designs to the individual needs of each client, it pursues solutions that unify the building to the land. 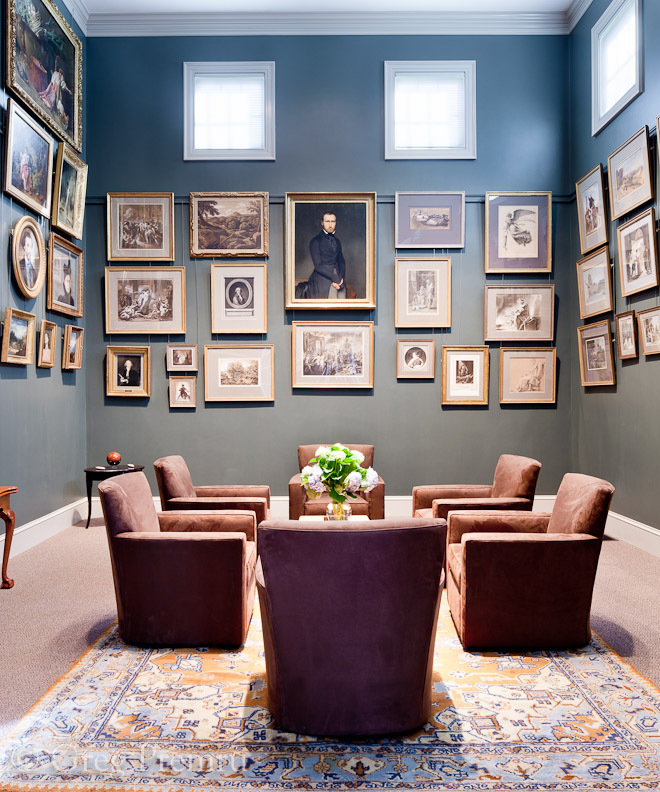 Its diverse collaborations realize timeless, enduring and sustainable homes for generations to come. 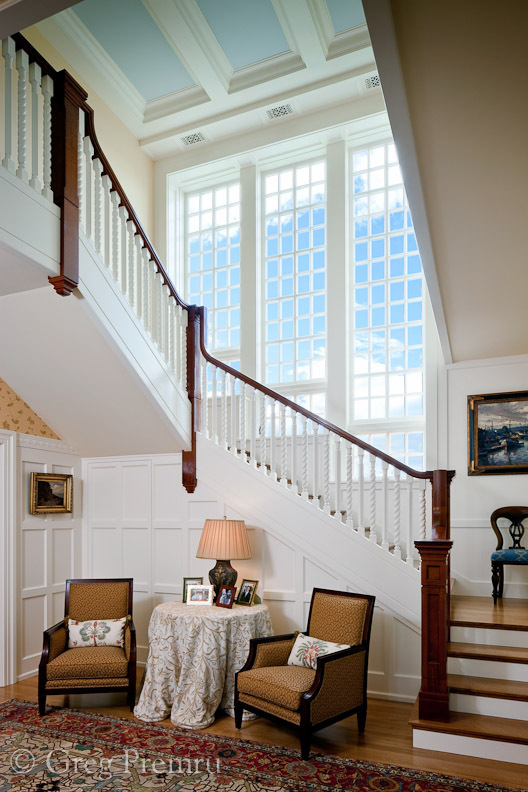 New England Home magazine is the preeminent authority on fine architecture and interior design in New England. As the essential companion for those who have the passion and resources to make their dream home a reality, New England Home is focused exclusively on the luxury homeowner. 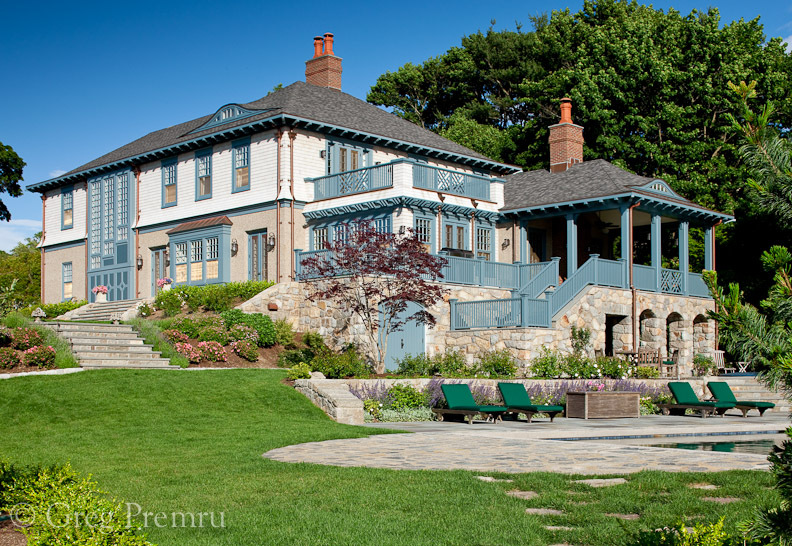 Companion products and programs include New England Home's Cape & Islands, New England Home's Connecticut http://www.nehomemag.com. Architectural ceiling details paired with soft, neutral colors in the living room offer a glimpse of the entry foyer beyond. Grand staircase Classical Pergola Classical ocean front home grounded with an ivy berm. 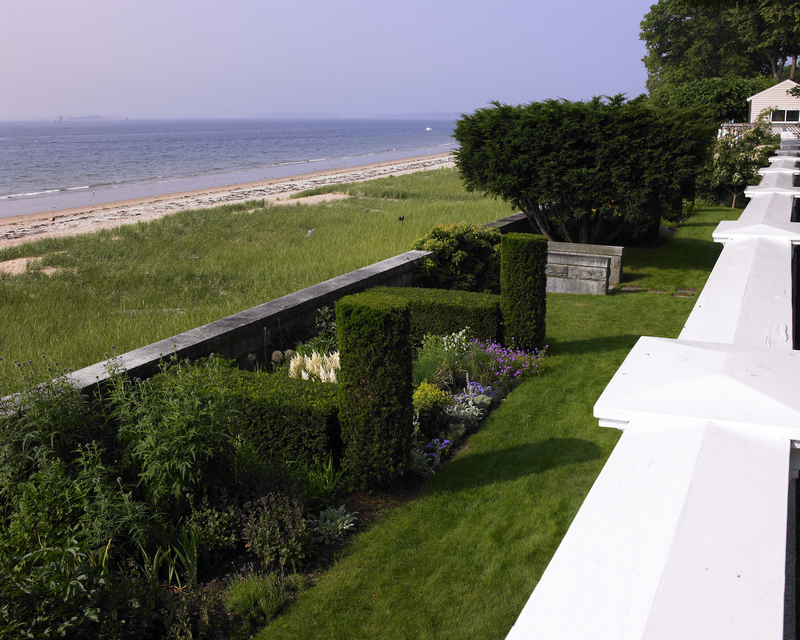 Ocean front view from a Classical home on Boston's North Shore Gold Coast. 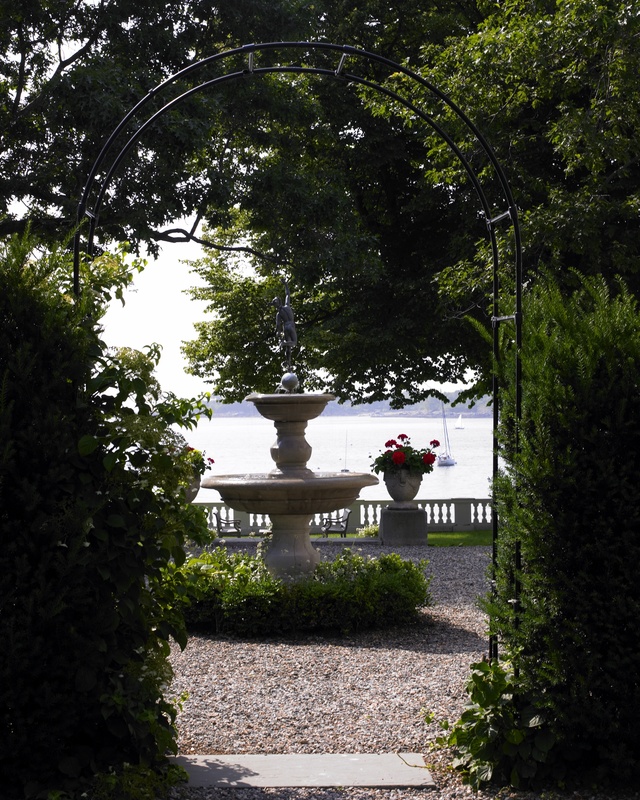 An exquisitely landscaped side terrace borders the Atlantic Ocean and takes its place as one of the jewels along Boston’s North Shore Gold Coast. 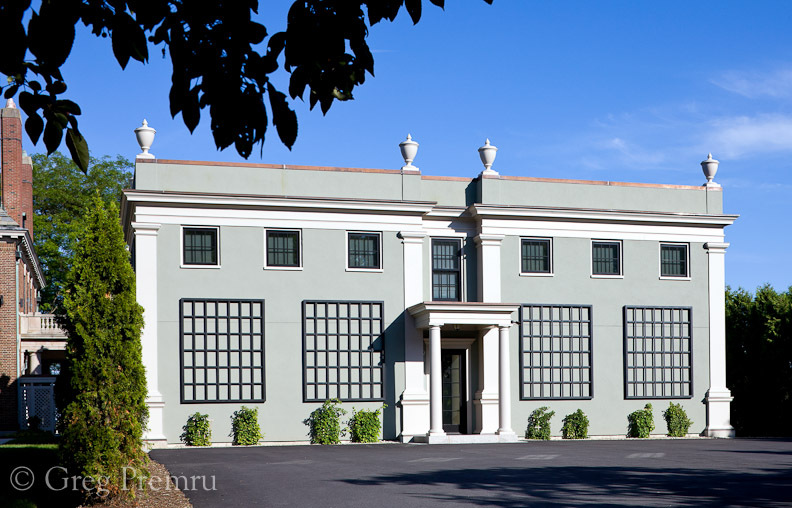 Classical private residence. Classical art gallery addition. Art Gallery Art Gallery English Arts & Crafts Style Architecture Classical detailing. 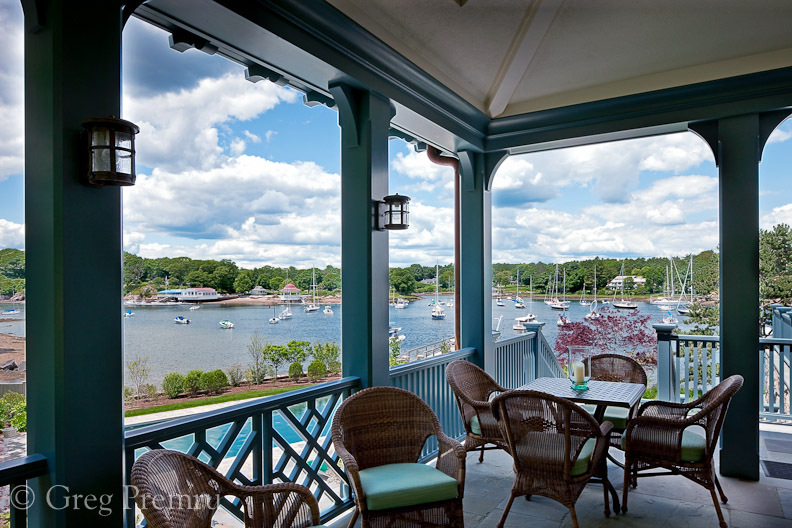 Porch overlooking the harbor. 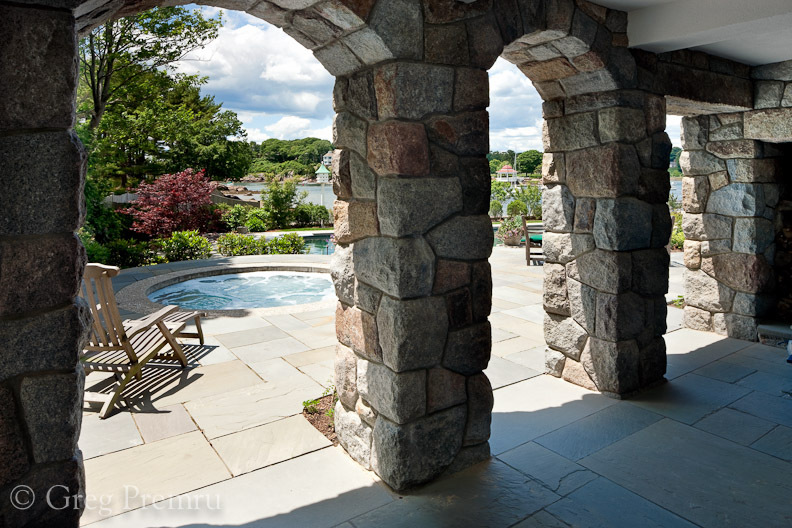 Stone arched pass-through to jacuzzi and pool area. 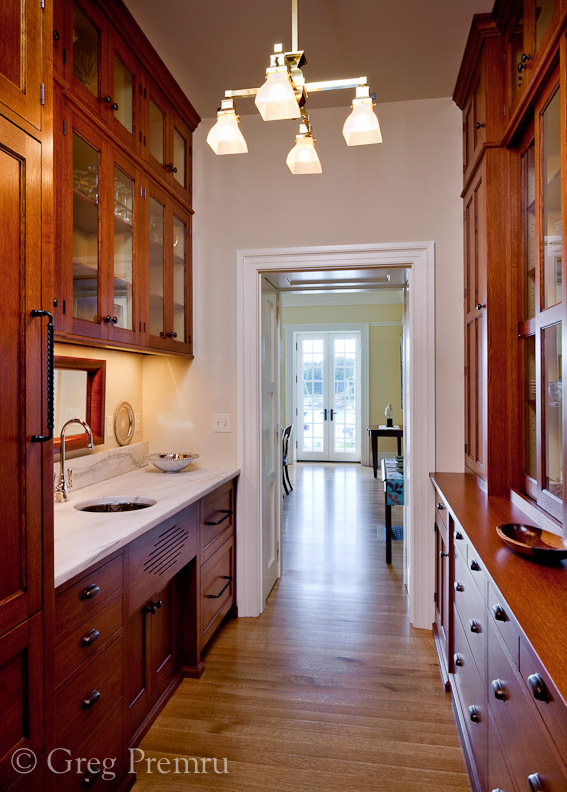 Arts and Crafts Style Kitchen Custom millwork in the butler’s pantry is detailed in 21st Century Arts and Crafts Style.